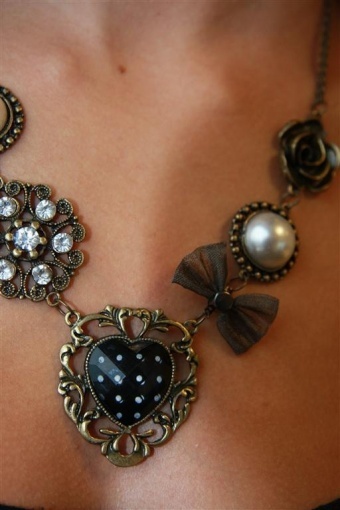 Vintage style necklace Black Heart bow pearl rose necklace From Paris with Love! Fierce and cute at the same time! 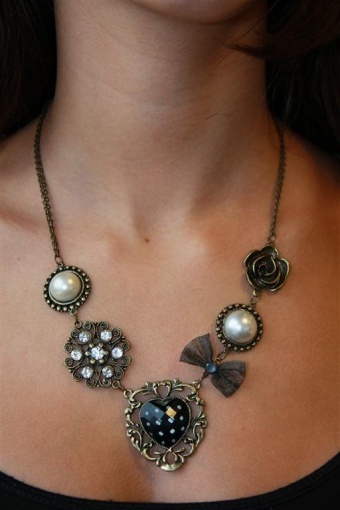 Bronze metal dubble chain necklace with beautiful detailing: black faceted heart with polka dots, filligree metal bow, faux pearls, rose and rhinestones. ketting brons FROM PARIS WITH LOVE! ontvangen! Weer een super sieraad en snelle levering! 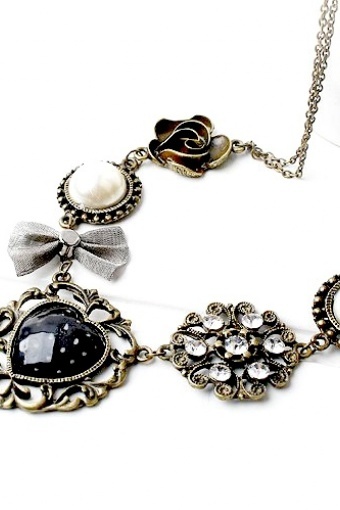 I love TopVintage! Ik kijk elke dag of er wat nieuws binnen is!